You won’t get peace of mind choosing an installer with limited experience. Rely on Boston Garage’s 12 years of industry experience to get the job done right. During our tenure, we have grown to fill our 4,000-square-foot facility. We have also built up an extensive inventory, staff and truck fleet required to deliver timely, professional service. When you call us up and ask for a free quote, we carefully measure the space, assess the condition of the concrete and determine an accurate estimate. The price isn’t based on a generic installation, but on a custom option designed to transform the garage into one of your favorite rooms in the home. Your custom design includes whatever solid color or decorative chip coating you prefer. We have standard options, but if those don’t fit the grade, we can create custom colors and chip blends on request. Homeowners often confuse epoxy coatings with ordinary paint. The two couldn’t be further apart in terms of quality, durability, appearance and longevity. In addition, the epoxy we use is a high quality, commercial-grade variety called polyaspartic. We source this product from the most reputable companies in the country. Not only do these companies provide us with high-quality epoxy products, but they also offer up-to-date technical assistance, the latest equipment advances and proven installation techniques. By using a polyaspartic topcoat on your epoxy floor coating, you benefit from a high resistance to impact, abrasion and temperature extremes. If it’s durable enough for industrial warehouses and manufacturing facilities, it can certainly withstand the conditions in your garage! Unlike other companies that worry more about making money than delivering exceptional quality, we don’t subcontract our work. Instead, we only schedule the volume of work we know we can handle with our own employees. Since we believe in hiring only experienced technicians to our team, you know you’ll enjoy a quality installation when you choose Boston Garage. 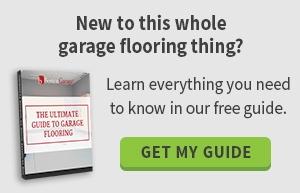 Are you ready to work with Boston’s leading garage flooring solutions experts? Contact us today to schedule a free on-site design consultation to get started!